Crossroads GPS Redefines 'Social Welfare' Political Action : It's All Politics It has been seen for decades as a fundamental premise of campaign finance: The public has an absolute right to know who gave and who got, so it can make an informed judgment as to what those contributors might want, and then hold elected officials accountable. But the rules have changed. Karl Rove, the founder of Crossroads GPS and a former adviser to President George W. Bush, at the Republican National Convention in Tampa, Fla., on Aug. 28. With all the really big numbers flying around this campaign season, here's one more: $165,062,250. That's how much Karl Rove's Crossroads GPS has spent attacking Democrats and helping Republicans this election. Perhaps this number doesn't seem so special, compared with the $1 billion spent by President Obama's campaign and at least $900 million by Gov. Romney's team. There is one critical difference, though. Every donor who gives $200 or more to a federal candidate, party or superPAC is identified — name, address, date, amount, occupation, employer — to the public. Whether it's a retired schoolteacher who has given $10 a month over two years to Obama for America, or casino magnate Sheldon Adelson cutting another $5 million check to Restore Our Future. But who's giving to Crossroads GPS? Well, that's a secret. Not secret from everyone, mind you. Rove and those who run Crossroads know, the IRS will know, and there's a strong chance the Republican candidates that Crossroads is working to help already know. But the public has no right to know. Not ever. There is no way for the casual viewer of Crossroads' many tens of thousands of television ads to understand that distinction. And perhaps the casual viewer doesn't even care about that distinction. Nonetheless, it goes to the heart of the post-Watergate reforms that sought both to limit the influence of the wealthy in elections and to make the system transparent. It has been seen for decades as a fundamental premise of campaign finance: The public has an absolute right to know who gave and who got, so it can make an informed judgment as to what those contributors might want, and then hold the elected officials accountable afterward, if it appears they are hewing to the wishes of their biggest donors. And make no mistake – these are BIG donors, indeed. 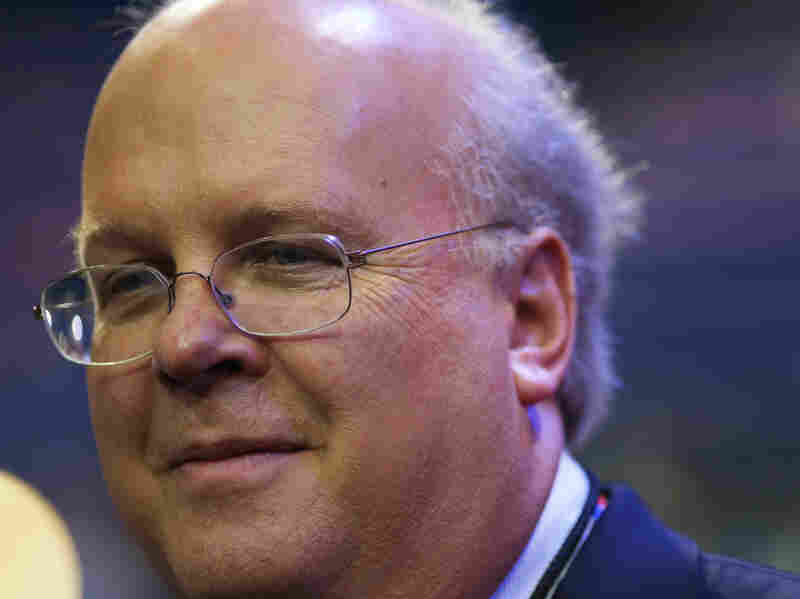 Rove named his group Crossroads GPS, for "Grassroots Political Strategies," but its donor base has been anything but. The public is allowed to know how many large donations it and other groups registered as "social welfare organizations" under IRS rules receive. An NPR analysis of those filings showed that in its first year and a half in existence, nearly 90 percent of the $77 million Crossroads collected came from million-dollar donors — as few as 16 and no more than 24 individuals or corporations. Two of the donations were $10 million each. That was the money collected through Dec. 31, 2011. How much the group raised in this election year, and in what quantities, will not be known until April 15, 2013, at the earliest. Again, though, who gave all those millions that paid for all those ads is a matter between Rove and his donors. The public cannot and will not know, not unless the donors themselves choose to tell us. Crossroads GPS is not the first 501(c)(4), as they are known, to get involved in elections. Groups have been doing so for years. The Sunlight Foundation, which advocates for more campaign finance disclosure, updates a list of these and other tax-exempt groups that are actively involved in the election. It numbers into the many dozens, and the total spent on explicit, vote-for, vote-against ads is more than a quarter billion dollars. That doesn't include at least another couple of hundred million dollars on ads that did not have to be reported to the Federal Election Commission. Several things, though, make Crossroads stand out. First is the scale of its activity. It is No. 1, by far, atop Sunlight's list. In fact, an NPR analysis of FEC data as of Monday morning shows that Crossroads has this election spent $71 million on explicitly political broadcast ads, phone calls, mailers and so forth — which puts it at No. 3 in total "independent expenditures" — that is, spending that is not coordinated with a candidate. It's behind Restore Our Future ($142 million) and American Crossroads (Crossroads GPS's sister organization, which, as a superPAC, does disclose its donors: $105 million), but ahead of Priorities USA Action (the pro-Obama superPAC: $65 million), and the U.S.Chamber of Commerce ($32 million). Second is the circumstance of its origin. The League of Conservation Voters is the liberal 501(c)(4) group that Crossroads loves to point to when questioned about its political spending. Yet not only is the amount it has spent so far on explicit ads ($11 million) dwarfed by Crossroads' total, but Crossroads has little in common with the environmental group, which was formed in 1969 by a mountaineer to push for tougher environmental laws. In contrast, Crossroads was created in 2010 by Republican political operatives who have used most of the money they've gathered to attack Democratic officeholders and candidates. Third, no liberal tax-exempt group has ever had anywhere near the influence on a presidential election as Crossroads has had on this one. Rove's outfit began running tens of millions of dollars in TV ads hammering President Obama and Democratic senators in the spring of 2011. For about a year they had the airwaves essentially to themselves and to like-minded conservative "(c)(4)s" like Americans for Prosperity (backed by the billionaire Koch brothers). At a time when Romney was battling Republican rivals for the nomination, spending money to beat the likes of Herman Cain and Newt Gingrich, Crossroads and a handful of other conservative (c)(4)s kept up the drumbeat with ads in — and almost exclusively in — the battleground states. It's hard to know exactly how much these ads dragged down Obama's poll numbers, but Crossroads officials like to suggest that it was quite a bit. In an Aug. 1, 2012, op-ed in the Wall Street Journal, Rove boasted of the role Republican outside groups had played in keeping Romney competitive with Obama heading into the final stretch. While Romney's campaign had spent $42 million on ads, the outside groups had spent "$107.4 million more in ads attacking Mr. Obama's policies or boosting Mr. Romney coming from outside groups (with Crossroads GPS, a group I helped found, providing over half)." In other articles that questioned how effective all this outside spending has been, Crossroads has responded, perhaps correctly, that without it, Obama would have been much further ahead going into the final months. What happens to Crossroads GPS after the election is an open question. There is still the matter of its tax status. The IRS has not yet formally approved its application as a 501(c)(4). The agency has received numerous complaints about the volume of Crossroads' political activity, but it does not comment on its decision-making process in individual cases. Nonprofits are allowed to spend an infinite amount on "issue" advocacy, but only a limited quantity on overtly political messages. The IRS guidance on this is somewhat vague — social welfare organizations can engage in politics so long as that is not their primary activity. Precisely what "primary" means is not spelled out, but a number of nonprofit groups interpret it to mean that as long as politics makes up less than 50 percent of their total expenses, they are OK. This explains why over the first half of the year, Crossroads representatives steadfastly described their advertising as issue-oriented, despite the minor-key music and ominous narration and uniformly harsh attacks on Obama and Democratic Senate candidates. Because the magic words "vote" or "defeat" or "this Nov. 6" where absent, the ads were "issue advocacy," Crossroads officials argued. By late summer, Crossroads had spent more than $94 million on these "issue" ads against Obama and Democratic congressional candidates. But that phase of Crossroads' strategy appeared to end in late July, when ads directly telling viewers to vote against Obama, Senate Democratic candidates and even some House Democratic candidates began to air. As of Monday morning, Crossroads GPS has reported $71 million in explicitly political ads opposing Democrats and supporting Republicans, according to an NPR analysis of FEC filings. More than $15 million has been against Obama, $8 million against Virginia Democratic Senate candidate Tim Kaine and $6 million against Berkley. Last month, Crossroads even spent $5 million telling viewers to vote for Romney. While the openly political ads against the Democrats still mentioned the debt or Obamacare, the ad supporting Romney mentioned none of those issues that, just months earlier, Crossroads had said were at the core of their mission. It features the parents of a boy who died of cancer nearly 25 years ago. They recount how Romney ministered to him, helping him write a will and delivering his eulogy. The ad closes with the words "Please vote Mitt Romney for president" on the screen. Crossroads spokesman Collegio told NPR in an email: "Nonprofit groups are allowed to undertake some political activity as part of their missions as long as it's not the central thing they do." He pointed out again that environmental groups with nonprofit status are also running political ads against Republicans. Regardless of how this plays with the IRS, the donors who gave Crossroads their millions with the expectation of secrecy probably have little to fear, according to several campaign finance lawyers. The worst-case scenario for the group is that it would be denied its tax-exempt status and face hefty fines, which would probably lead to its shutting down, with its principals popping back up with new groups for the next election cycle. But given its centrality to the Republican effort this year, Rove himself, as Crossroads' co-founder and star fundraiser, may face other consequences. It appears that Crossroads GPS and American Crossroads together did pull in the $300 million they announced as a goal earlier this year. If Romney wins the presidency and Republicans take full control of Congress, Rove clearly would have something to brag about. But what happens if, despite all these seven- and eight-figure checks, Obama wins anyway? And what if, as appears more and more likely, the Senate remains Democratic? Political observers are already speculating about the gaggle of a few dozen angry billionaires demanding an explanation from Rove. Rove's statement this weekend that Hurricane Sandy had helped Obama improve his standing in the polls only added to the idea that former President George W. Bush's political guru is already starting to lay the groundwork for some serious explaining come Wednesday morning. Yet whatever happens on Tuesday, and regardless of what happens to Crossroads GPS or Rove going forward, their involvement in the election this year will have enormous implications for the country's campaign finance system in the years to come. The ability to give to a group deeply involved in political advertising while keeping that donation secret from the public is greatly valued, it turns out. Giving large checks to a superPAC can bring unwanted enmity, for example, from customers — half of whom might be supporting the opposing candidate in a big election. Rove has shown that it's possible to harness a small number of such individuals and corporations and essentially build a parallel political party. A party with almost no rules, no local or state functionaries to worry about, answerable only to itself and its donors. The U.S. Supreme Court opened the door to this with its 2007 and 2010 rulings in Wisconsin Right to Life and Citizens United. In that latter case, Justice Anthony Kennedy argued that such unlimited donations are acceptable because of the transparency that modern technology affords with, for example, the Internet. This election, upwards of $400 million will be spent on political advertising, the donors of which will never be known to the voting public. Despite this, it does not seem likely that the high court will revisit either of those cases soon. And given the impending makeup of Congress, legislation addressing this is equally unlikely. Republicans who once championed instant and full disclosure prior to Citizens United now oppose attempts to bring disclosure rules to tax-exempt groups that engage in politics. At least — they oppose those attempt right now, when they are benefiting from the overwhelming majority of this secret money. But what conservative partisans do today, liberal partisans could copy tomorrow. It may only be a matter of time before one or two or a dozen Democratic versions of Crossroads pop up with the goal of defeating Republicans using millions of dollars from secret donors. Perhaps that's what it will take, a number of oxen to be gored from both parties, before the idea of fully disclosing who gave and who got is once again embraced as a fundamental principle. S.V. Dáte is congressional editor on NPR's Washington Desk.